There is also a fund raising event with a difference on Saturday 8th March,When Over 100 ‘Got 2 Sing’ choristers will travel the length of the Severn Valley Railway – some 16 miles in total, stopping off at three of its main stations to entertain visitors and passers-by with their harmonies. They will be Raising money for the Stroke Association Charity. The choir’s journey will begin at Kidderminster at 10.00am when they will delight audiences with popular songs such as ‘Amazing Grace’ and ‘Proud’ arriving at Highley at 12.15pm, where they will sing soul and motown classics such as ‘Higher and Higher’ and ‘Ain’t No Mountain High Enough’, before reaching SVR’s terminus in Bridgnorth at 1.30pm. During 2014 No. 1450 will also be returning to the Severn Valley Railway in Sandwhich mode with two auto coaches either side of the locomotive, recreating the days of a Great Western branchline. No. 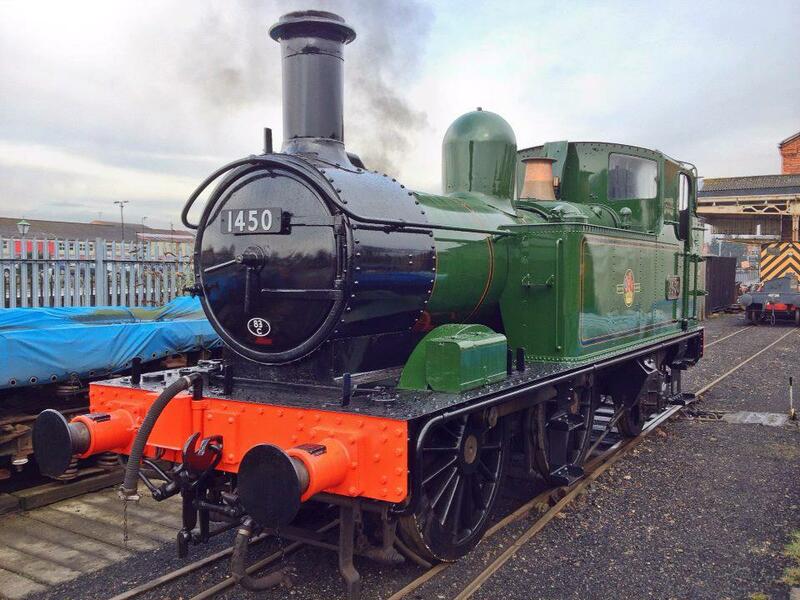 1450 will also operate a number of Supreme Special Footplate Experiences in Autotrain mode on March 8 and March 9, 2014. This will be a another chance to take the controls of a GWR Autotrain on selected Sundays and drive and fire from Bridgnorth to Kidderminster and back, a distance of 32 miles along the whole line during the forthcoming Spring Steam Gala on March 21st, 22nd and 23rd. 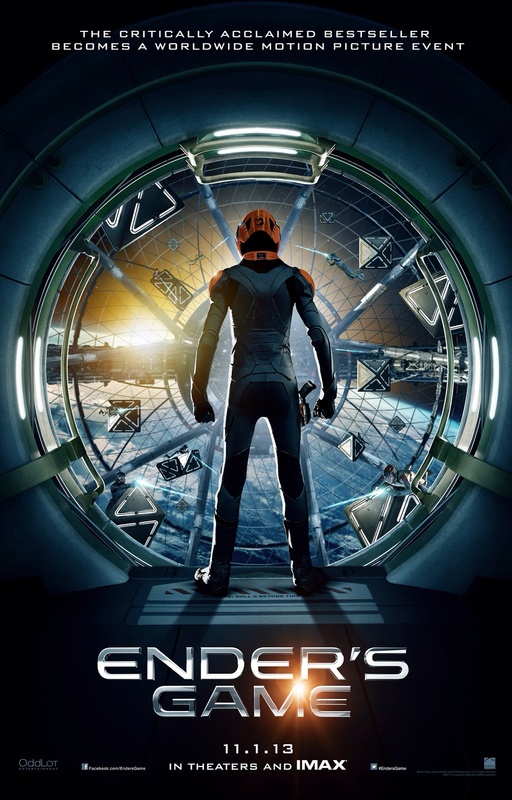 the epic military science fiction adventure ENDER’S GAME is out on DVD ON Monday 10 March. Directed by Gavin Hood, and based on the 1985 novel by American Author Orson Scott Card It stars Harrison Ford, Asa Butterfield and, Hailee Steinfeld and is Set in Earth’s future, where an imperilled mankind has barely survived two conflicts with an insectoid alien species called the Formics who are seemingly determined to destroy humanity.Seventy years later the people of Earth remain banded together to prevent their own annihilation from this technologically superior alien species. in preparation for an anticipated third invasion, an international fleet maintains a Battle School in orbit around earth to find and train future fleet commanders . it I s here that The world’s most talented children, including,Ender Wiggin (butterfield) a quiet but , but strategically brilliant boy, who is separated from his beloved sister and his terrifying brother are taken at a very young age to train in the art of battle. The book originated as the short story “Ender’s Game”, published in the August 1977 issue of Analog Science Fiction and Fact. Elaborating on characters and plot lines depicted in the novel, Card later wrote additional books to form the Ender’s Game series. Card released an updated version of Ender’s Game in 1991, changing some political facts to accurately reflect the times; most notably, the book was updated to reflect the collapse of the Soviet Union, which was mentioned several times in the novel, and the end of the Cold War.Reception of the book has generally been positive, though some critics have denounced Card’s perceived justification of his characters’ violent actions. It has also become suggested reading for many military organizations, including the United States Marine Corps. Ender’s Game won the 1985 Nebula Award for best novel and the 1986 Hugo Award for best novel. Its sequels, Speaker for the Dead, Xenocide, Children of the Mind and Ender in Exile, follow Ender’s subsequent travels to many different worlds in the galaxy. In addition, the later novella A War of Gifts and novel Ender’s Shadow take place during the same time period as the original. Ender’s Game has also been adapted into two comic series. Dutch Painter Pieter Cornelis “Piet” Mondriaan, was born March 7, 1872. in Amersfoort, Netherlands The family moved to Winterswijk when his father, Pieter Cornelius Mondriaan, was appointed Head Teacher at a local primary school. Mondrian was introduced to art from a very early age: his father was a qualified drawing teacher; and, with his uncle, Fritz Mondriaan (a pupil of Willem Maris of the Hague School of artists), the younger Piet often painted and drew along the river Gein. After a strictly Protestant upbringing, in 1892, Mondrian entered the Academy for Fine Art in Amsterdam. He already was qualified as a teacher. He began his career as a teacher in Primary Education, but he also practiced painting. Most of his work from this period is Naturalistic or Impressionistic, consisting largely of landscapes. These Pastoral images of his native country depict windmills, fields, and rivers, initially in the Dutch Impressionist manner of the Hague School and then in a variety of styles and techniques documenting his search for a personal style. These paintings are most definitely Representational, illustrating the influence various artistic movements had on Mondrian, including Pointillism and the vivid colors of Fauvism. On display in the Gemeentemuseum in The Hague are a number of paintings from this period, including such Post-Impressionist works as The Red Mill and Trees in Moonrise. Another painting, Evening (Avond) (1908), a scene of haystacks in a field at dusk, even augurs future developments by using a palette consisting almost entirely of red, yellow, and blue. Although it is in no sense Abstract, Avond is the earliest of Mondrian’s works to emphasize the primary colors. The earliest paintings that show an inkling of the abstraction to come are a series of canvases from 1905 to 1908, which depict dim scenes of indistinct trees and houses with reflections in still water. Mondrian’s art always was intimately related to his spiritual and philosophical studies. In 1908, he became interested in the theosophical movement launched by Helena Petrovna Blavatsky. Mondrian and his later work were deeply influenced by the 1911 Moderne Kunstkring exhibition of Cubism in Amsterdam. His search for simplification is shown in two versions of Still Life with Ginger Pot (Stilleven met Gemberpot). The 1911 version is Cubist; in, the 1912 version, it is reduced to a round shape with triangles and rectangles. In 1911, Mondrian moved to Paris and changed his name (dropping an ‘a’ from Mondriaan.Unlike the Cubists, Mondrian still attempted to reconcile his painting with his spiritual pursuits; and, in 1913, he began to fuse his art and his theosophical studies into a theory that signaled his final break from representational painting. While Mondrian was visiting home in 1914, World War I began, forcing him to remain in The Netherlands for the duration of the conflict. During this period, he stayed at the Laren artist’s colony, there meeting Bart van der Leck and Theo van Doesburg, who were both undergoing their own personal journeys toward Abstraction. Van der Leck’s use of only primary colors in his art greatly influenced Mondrian. Mondrian published “De Nieuwe Beelding in de schilderkunst” (“The New Plastic in Painting”) in twelve installments during 1917 and 1918. 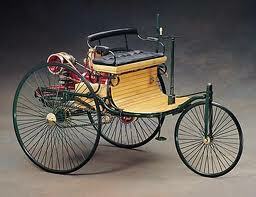 This was his first major attempt to express his artistic theory in writing. When the war ended in 1918, Mondrian returned to France until 1938. Immersed in the crucible of artistic innovation that was post-war Paris, he flourished in an atmosphere of intellectual freedom and Mondrian began producing grid-based paintings in late 1919, and in 1920, the style for which he came to be renowned began to appear.In the early paintings of this style the lines delineating the rectangular forms are relatively thin, and they are gray, not black. 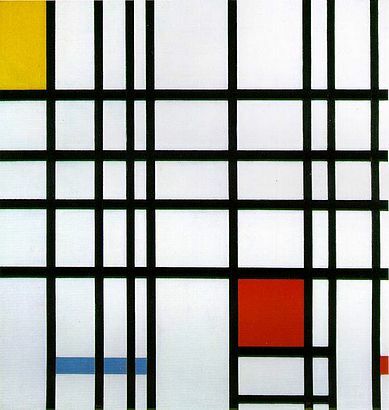 The forms themselves, are smaller and more numerous than in later paintings, are filled with primary colors, black, or gray, and nearly all of them are colored; only a few are left white.During late 1920 and 1921, Mondrian’s paintings arrive at what is to casual observers their definitive and mature form. Thick black lines now separate the forms, which are larger and fewer in number, and more of them are left white than was previously the case. In the 1921 paintings, many of the black lines (but not all of them) stop short at a seemingly arbitrary distance from the edge of the canvas, although the divisions between the rectangular forms remain intact. Here too, the rectangular forms remain mostly colored.These tendencies are particularly obvious in the “lozenge” works that Mondrian began producing with regularity in the mid-1920s. The “lozenge” paintings are square canvases tilted 45 degrees, so that they hang in a diamond shape. Typical of these is Schilderij No. 1: Lozenge With Two Lines and Blue (1926), also known as Composition With Blue and Composition in White and Blue, which is currently on display at the Philadelphia Museum of Art. One of the most minimal of Mondrian’s canvases, this painting consists only of two black, perpendicular lines and a small triangular form, colored blue. As the years progressed, lines began to take precedence over forms in his painting. In the 1930s, he began to use thinner lines and double lines more frequently, punctuated with a few small colored forms, if any at all. Double lines particularly excited Mondrian, for he believed they offered his paintings a new dynamism which he was eager to explore. In September 1938, Mondrian left Paris in the face of advancing fascism and moved to London. After the Netherlands were invaded and Paris fell in 1940, he left London for Manhattan, where he would remain until his death. works from this later period demonstrate an unprecedented business, however, with more lines than any of his work since the 1920s, placed in an overlapping arrangement that is almost cartographical in appearance.Mondrian produced Lozenge Composition With Four Yellow Lines (1933), a simple painting that introduced what for him was a shocking innovation: thick, colored lines instead of black ones, as well as Composition (1938) and Place de la Concorde (1943). The new canvases that Mondrian began in Manhattan are even more startling, and indicate the beginning of a new idiom. New York City (1942) is a complex lattice of red, blue, and yellow lines, occasionally interlacing to create a greater sense of depth than his previous works. His painting Broadway Boogie-Woogie (1942–43) at The Museum of Modern Art in Manhattan was highly influential in the school of abstract geometric painting. The piece is made up of a number of shimmering squares of bright color that leap from the canvas, then appear to shimmer, drawing the viewer into those neon lights. Mondrian replaced former solid lines with lines created from small adjoining rectangles of color, created in part by using small pieces of paper tape in various colors. Larger unbounded rectangles of color punctuate the design, some with smaller concentric rectangles inside them. While Mondrian’s works of the 1920s and 1930s tend to have an almost scientific austerity about them, these are bright, lively paintings, reflecting the upbeat music that inspired them and the city in which they were made. When the 47-year-old Piet Mondrian returned to Paris for the second and last time in 1919, he set about at once to make his studio a nurturing environment for paintings he had in mind that would increasingly express the principles of Neo-Plasticism. At the age of 71 in the fall of 1943, Mondrian moved into his second and final Manhattan studio. Tragically, he was there for only a few months, as he died of pneumonia in February 1944 and was interred in the Cypress Hills Cemetery in Brooklyn, New York.On February 2, 1944, a memorial, attended by nearly 200, was held for Mondrian, at the Universal Chapel on Lexington Avenue and 52nd Street in Manhattan.